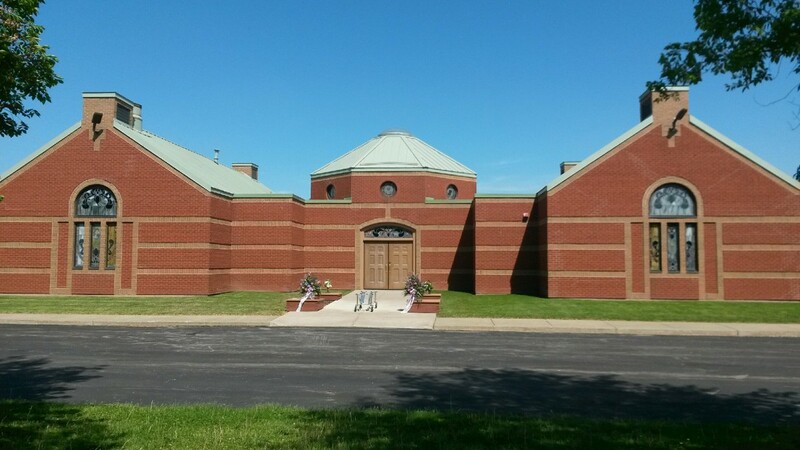 Pine Lawn Chapel and Columbarium provides large and small rooms to accommodate intimate services and viewings. Our state-of-the-art crematory is in the room adjacent to where viewings and services are held. This provides a single location for viewings and services along with the actual body cremation and permanent memorial site for a loved one. The niche pictured is representative of columbarium niches available in Pine Lawn, Ridge Lawn and Mount Calvary Cemetery properties. Single and Double Niche spaces are offered behind glass. 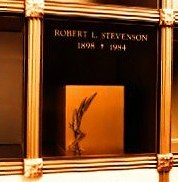 The glass fronts allow visibility of individual memorial urns. Prices range from $1,700 - $4,000. It was through the collaboration of the Hispanic community and Mount Calvary Cemetery that the only dedicated Hispanic Memorial Site in Western New York came into being. The Hispanic community now has a final resting place reflective of their cultural and religious traditions. Click on the picture to the left to go to the Hispanic Memorial Site page. Pine Lawn Cemetery offers several different in-ground burial areas. 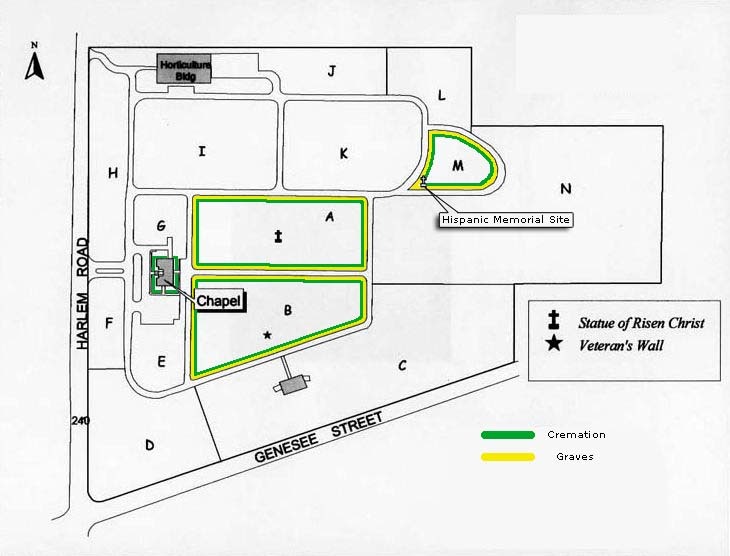 Veterans may select a grave within our specially designated veterans area. This area features a flag display, an authentic cannon and granite memorial walls adorned with the names of those who have served our country. 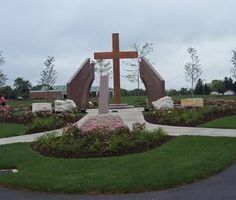 A garden area featuring a bronze sculpture of the Risen Christ is also contained within the Pine Lawn Cemetery.